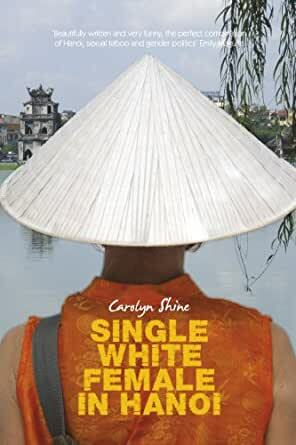 Sydney-based musician Carolyn Shine moves to Hanoi virtually on a whim, expecting to find romance and available culture. She’s in for some big surprises. Funny, warm and engaging, her travel memoir introduces us to a cast of memorable Vietnamese characters as well as her fellow foreigners searching for love and adventure. From teaching English, sub-editing a propaganda news sheet, to forming a blues band, against the backdrop of a world seemingly alive with the promise of romance, this is a beguiling evocation of Hanoi and its people: pungent, earthy and sensual. Carolyn Shine studied Fine Arts and Linguistics at the University of New South Wales and went on to become a musician, songwriter and music educator. As a freelance writer she has been published in various publications, including the Sydney Morning Herald. She moved to Hanoi on a whim in 2002, expecting available culture and romance. Her disappointment propelled her to seek satisfying answers to questions on culture that until then she’d never dared ask. Carolyn is an Australian teacher of music who travels to Hanoi to teach english and hopes to find romance as she is single. Her first impressions are not good as she is shocked at the abject poverty and finds the heat and humidity opressive 38 degress, its also the start of the monsoon season. She has to cope with 6 lanes without traffic lights! Pavements full of sellers sitting by the roadside with no place to walk and in the rain they become fast flowing rivers. She manages to make some friends with the locals as she wishes to live amongst them, others do not take to westerners. It takes her a month to find where the other expats hangout. There is plenty of humour in this book, you get the feel and taste of Vietnam with all the detail that is written, it is also very revealing about how it feels to live in a communist country still poverty stricken from its legacy of war. For a first book this is well written and draws you in. Really enjoyable and I highly recommend it. I really enjoyed this story of life in Hanoi, written by an Australian woman who decides to go there on a whim. She has many interesting stories of her search for jobs, friends both Vietnamese and Ex pats from different countries. She doesn't paint a very pretty picture, more real I would say of the city itself. Did not make me want to move there, but did very much like reading about it and her escapades. I came across this book while researching an upcoming trip to Hanoi. It was a very enjoyable and interesting read. I believe my experience of visiting Hanoi will be richer for having read this book. Thank you, Ms. Shine. This book jerked me from one crisis to the next.I wanted to like it.but it w difficult. Maybe it was just my mood. You have to admire a woman who takes off on her own to a foreign country where she can't speak the language to live for a year! I enjoyed reading about her experiences and her love/hate relationship with the culture. It was a great outsider's perspective on life in Hanoi.The novel is well written and keeps the reader involved with all the escapades of the main character as she learns how to cope with living in Hanoi.